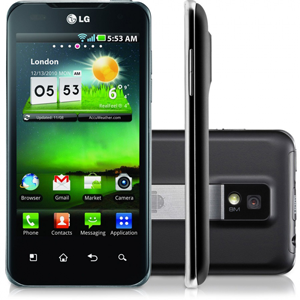 The LG Optimus 2X is the third phone in the LG Optimus series of Android smartphones. The Optimus 2X is the very first mobile phone to use a dual-core processor. It is powered by the NVIDIA Tegra 2, a dual-core processor that is clocked at 1.0 GHz. The LG Optimus 2X also has a micro HDMI port so that its display can be seen on an HDTV. The rear camera is capable of recording 1080p video at 24 fps. The rear camera also has auto focus and a LED flash.